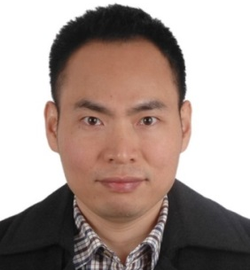 Dr. Qi’s research focuses on climate and environmental policy and governance. He publishes extensively on climate change science and environmental policy. 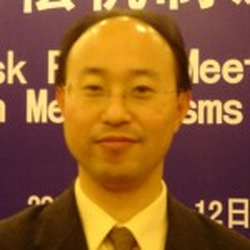 His books include on “Environmental Governance in China”, and six volumes of “Annual Review of Low Carbon Development”. 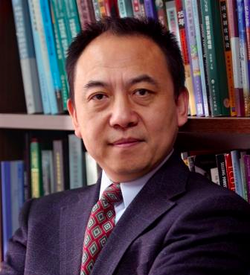 Dr. Qi taught Environmental Science, Policy and Management at University of California, Berkeley from 1996 through 2003. He received a Ph.D. in Environmental Science in 1994 from State University of New York College of Environmental Science and Forestry and from Syracuse University, and conducted research at University of California, San Diego and Cornell University. He studied agriculture, ecology and economics from Hebei Agricultural University (BS), the Chinese Academy of Agricultural Sciences (MS) and the Chinese Academy of Sciences (PHD). Dr. Castán Broto has been Senior Lecturer at the Development Planning Unit since 2011 and is one of the course directors on the Masters Course on Environment and Sustainable Development. Her current research focuses on possibilities to enhance the wellbeing of urban citizens through planning interventions and environmental management. She is the principal investigator of the project ‘Mapping Urban Energy Landscapes’ (MUEL), which seeks to understand the relationship between energy use, access to services and spatial transformations. She was also the principal investigator of the project ‘Partnerships for Climate Compatible Development in Maputo, Mozambique’ (4PCCD) which developed participatory planning methods through which communities can establish their priorities to develop resilient neighbourhoods. Vanesa has a doctorate from the University of Surrey (Environmental Strategy) and MSc degrees from Wageningen University (Environmental Sociology) and Universidad Politecnica de Madrid (Engineering). 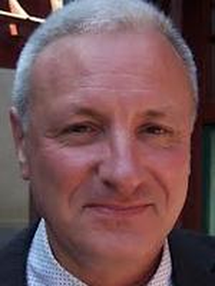 Prof. Richard Balme is professor of political science at Sciences Po. He teaches public policy analysis, comparative politics and international relations. Among his publications are European Governance and Democracy: Power and Protest in the European Union, (with D. Chabanet, Rowman and Littlefield 2008) and Europe-Asia Relations: Building Multilateralisms, (with B. Bridges, Palgrave, 2008). His recent research is focused on international environmental and climate governance. Prof. Balme is scientific director for the Master in International Public Management at the Paris School of International Affairs (PSIA), director of the executive master in Development Policy and Management “Potentiel Afrique”, and senior fellow at the Centre for European Studies of Sciences Po. 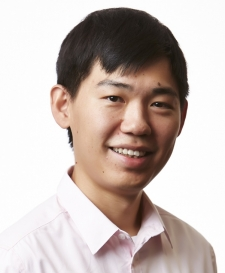 He is also a Research Fellow at the Asian Energy Studies Centre of the Honk Kong Baptist University and associate with China Policy in Beijing. He regularly teaches at the School of Public Policy and Management, Tsinghua University in Beijing. He was appointed member of the Conseil Economique, Social et de l’Environnement, in France, 2012-2014. Dr. Mah is currently Director of the Asian Energy Studies Centre, and an Assistant Professor at Department of Geography of Hong Kong Baptist University (HKBU), as well as an Honorary Assistant Professor at the Kadoorie Institute at the University of Hong Kong (HKU). 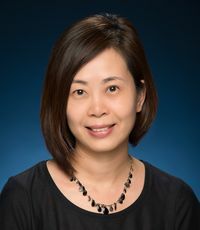 Dr. Mah obtained her MSc in Environmental Management from the University of Nottingham in the UK, and completed her PhD study in 2010 at HKU, investigating the role of local states, policy capacity and the development of wind energy policies in Xinjiang, Shanghai and Guangdong. She is a recent recipient of the Faculty of Social Sciences’ (HKBU) Faculty Award for Early Career Academic (Research) 2014-2015. Before pursuing her academic career, Daphne was a journalist in Ming Pao Daily News, and the head of the campaigns team of Friends of the Earth (Hong Kong). Prof. Shiroyama’s research focuses on international administration, science, technology and public policy, and public policy process. His publications include Transformation of Political Space and Policy Innovation 1 Political Theory of Policy Innovation, The Structure of International Aid Administration, Governance of Science and Technology, “The Harmonization of Automobile Environmental Standards between Japan, the United States and Europe” in Pacific Review vol. 20-3, “Administrative Reorganization and Public Sector Reform in Japan” in The Public Sector in Transition: East Asia and the European Union Compared, “Technology Innovation and Diffusion for Environmental Protection,” in Energy Market Restructuring and the Environment, “Nuclear Safety Regulation in Japan and Impacts of the Fukushima Daiichi Accident” in Reflections on the Fukushima Daiichi Nuclear Accident: Toward Social-Scientific Literacy and Engineering Resilience, “Case Study of Eco-Town Project in Kitakyushu – Tension among Incumbents and the Transition from Industrial city to Green City” in Governance of Urban Sustainability Transitions: European and Asian Experiences. He was the Dean of the Graduate School of Public Policy from 2014 to 2016 and the Director of Policy Alternatives Research Institute from 2010 to 2014 at the University of Tokyo. He also served as the Chairman of the Planning Committee of New Initiatives for Humanities and Social Sciences Program at the Japan Society for the Promotion of Science from 2003-2008, as President of the PI forum, an NPO for consensus building in Japan from 2006-2008 and as a member of various government advisory councils on higher education, nuclear safety, food safety, fire protection, scenarios for climate mitigation, and industrial policy. Dr. 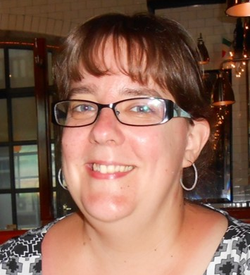 Lo is a human geographer focusing on understanding the transition to sustainable energy systems from spatial, regional, and governance perspectives. He is also interested in China’s rural and urban studies, such as resettlement, urbanization, rural restructuring, and poverty alleviation. He has published in many leading journals, including Renewable and Sustainable Energy Reviews, Energy Policy, Energy for Sustainable Development, Energies, Environmental Science & Policy, Cities, Habitat International, and Journal of Rural Studies. Dr. Mori has conducted research on environmental, energy and climate policy, governance, fiscal reform in East and Southeast Asia. He published several edited books, including Environmental Fiscal Mechanism and Reform: East Asia and Europe and Green Growth and Low Carbon Development in East Asia from Routledge. 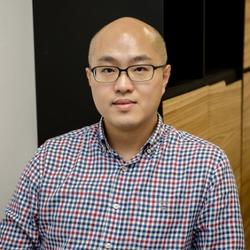 Dr. Huang’s research track has revolved around low-carbon technological innovation and energy transitions in China, with a particular focus on renewable energy technology and the impact of multi-level policy arrangements. 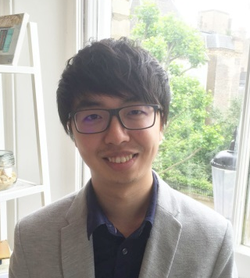 He is currently working on a project on “Urban energy innovation and transitions in China: spatial configurations and enabling factors” that analyses the heterogeneity of low carbon innovation processes and their spatial manifestations in urban China, and seeks to answer “why energy innovation and hence, urban energy transitions, occurs in one city but not in another?”. The project is based on the collaboration with the Bartlett School of Planning at UCL and the Asian Energy Studies Centre based on Hong Kong Baptist University. Also, Dr. Huang is interested in the role of multi-level policy arrangements in mobilizing and anchoring local and extra regional resources in a city or region. Geoffrey’s research focuses primarily on political economy and energy management. Specifically, he is interested in researching how public sectors have been reformed and how climate technology solutions are promoted in China and other newly industrialised economies. Geoffrey’s recent work appeared in New Political Economy and China: An International Journal. His research interests include theories of developmental state, economical modernisation, and energy governance. His first book, Governing Sustainable Energies in China, was published in 2016 (Palgrave Macmillan), which explores the broad implications of China’s rising renewable energy sector for global environmental politics. Geoffrey has worked previously at German Institute of Global and Area Studies, University of Duisburg-Essen and University of Bath, where he also received his doctorate in 2015. Dr. Sara Fuller’s research explores concepts and practices of justice and democracy in the field of the environment, with an empirical focus on grassroots, community and activist responses to climate change. Prior to joining Macquarie University, she held postdoctoral positions at Durham University, UK and City University of Hong Kong where she conducted research on low carbon transitions and climate governance; NGO discourses of energy justice; low carbon communities and social justice; and energy vulnerability in communities. Her current research investigates the politics and governance of urban climate justice across the Asia-Pacific region. 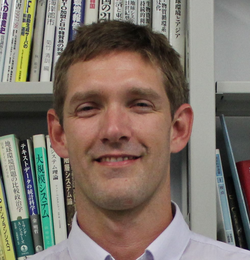 Ben has been an Associate Professor at Kyoto University teaching in energy science since 2010, prior to which he worked at the Sustainable Minerals Institute of the University of Queensland on sustainable design and assessment processes within the minerals and industrial processing industries. His PhD and undergraduate studies were in Chemical Engineering – also at the University of Queensland. He is currently involved in research around transitions in energy systems and minerals production / consumption, including deep ocean minerals life cycle sustainability impacts, stakeholder engagement, and more broadly in the minerals-energy nexus. 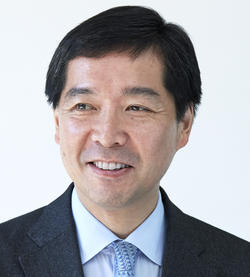 Dr. Okushima obtained his BA, MA, and PhD from the University of Tokyo and specializes in Environmental Economics, Energy Economics, and Policy Analysis. His previous research includes climate change and energy policy in Japan, decomposition methodology, environmental ethics, inequality analysis, and poverty analysis. 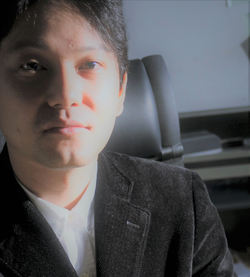 His current research interests are measurement of energy poverty or energy vulnerability, ecological or energy sufficiency, and energy transitions in Japan. He has published many papers on energy-related topics in leading journals such as Energy Economics, Energy Policy, Energy, etc. Ms. Low holds a Master of Laws (LLM) in Climate Change Law and Policy (with distinction) from the University of Strathclyde and a Master of Science in Environmental Management from the National University of Singapore. 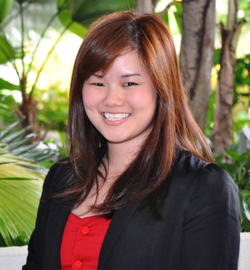 For her NUS Master thesis on past and contemporary proposals on equity and differentiation in shaping the 2015 climate agreement, Melissa was awarded the Shell Best Dissertation Award 2013. She received her Bachelor of Social Sciences in Geography degree (with Honors) and a minor in Urban Studies from the National University of Singapore in 2010. Melissa has participated in the United Nations Framework Convention on Climate Change (UNFCCC) Conference of Parties (COP) talks since December 2009 and is the Designated Contact Point for NUS’s accreditation to the UNFCCC. 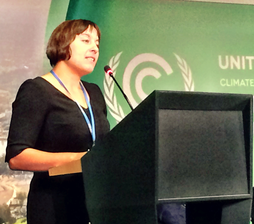 Her current research areas are on the implications of the Paris Agreement and countries’ progress in meeting their climate pledges. Dr. Philip Andrews-Speed has 35 years in the field of energy and resources, starting his career as a mineral and oil exploration geologist before moving into the field of energy and resource governance. 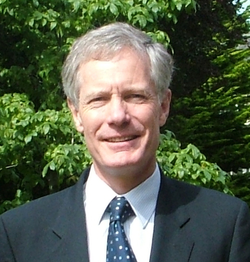 Until 2010 he was Professor of Energy Policy at the University of Dundee and Director of the Centre of Energy, Petroleum and Mineral Law and Policy. His main research interest is the political economy of energy and resource governance, at national, regional and global scales. He is currently leading a major research project entitled “Policy and Law for Nuclear Safety and Security”. Recent books include China, Oil and Global Politics (with Roland Dannreuther), The Governance of Energy in China: Transition to a Low-Carbon Economy, and Want, Waste or War? The Global Resource Nexus and the Struggle for Land, Energy, Food, Water and Minerals (with five co-authors).